Before the watch, are the tools to produce the components and build them into the time piece. 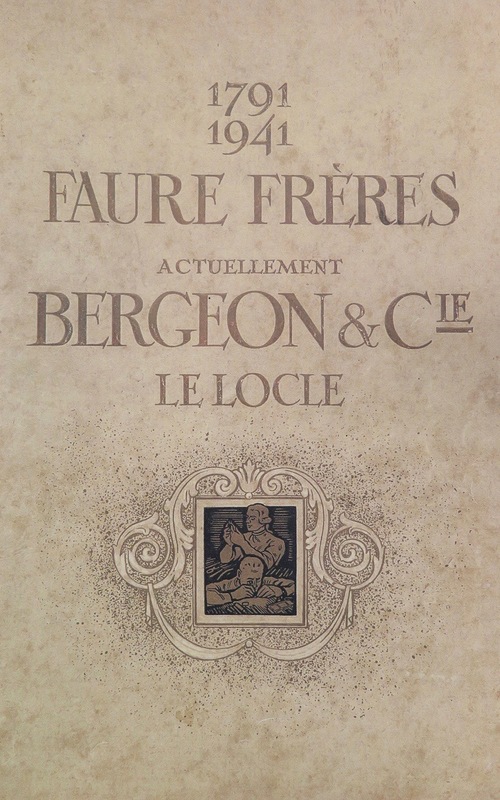 Bergeon is the oldest surviving watchmaking tool company in existence. They have been supplying tools to the industry for over 200 years and are, in their domain, a legend. Every watchmaker in the world will have either bought or inherited Bergeon tools at some moment during their life. Bergeon SA is today established in La Chaux-de-Fonds with their Head Office at Allée des Défricheurs 4 where they have over 3000 items. The majority of the tools they produce are made in Switzerland by either themselves or an established group of tool and component manufactures. The tool precedes the object to the realization of that which it will be implemented. To the question of the philosopher: "How to be creative before creation? The craftsman says that the tool is at the origin of any work! Its pragmatism does not allow it to get lost in the meanders of an anxious thought of itself. At each questioning of the material or his work to improve it constantly, he responds by creating a tool to overcome the new constraints imposed by his creative genius. Thus, the primitive tool, very simple, dedicated to multiple functions, will slowly be diversified and specialized in different trades that will all have tools for each function, or even several variants for the same gesture. The watchmaking tool is one of the richest examples of this evolution of tools related to the evolution of the product from the basic tooling of the forge. On the basis of the developing watchmaker, we find, even today, the coupled symbol of creation, the anvil and the hammer. But the anvil is reduced to the size of a phalanx of the thumb and the hammer is so delicate that it is hardly enough to break the shell of an egg. All material is reproduced with the agreement and consent of Bergeon SA.